In the number games we need to find the exact number that is hidden in the number table. Kids need to carefully read the question and then find the exact number from the number table and fill up the blank spaces. To make sure that the number is used, color the number using red in the table. For example: Children can see that one is done for them to get the exact idea how to do and then follow the number table chart how that number is colored. 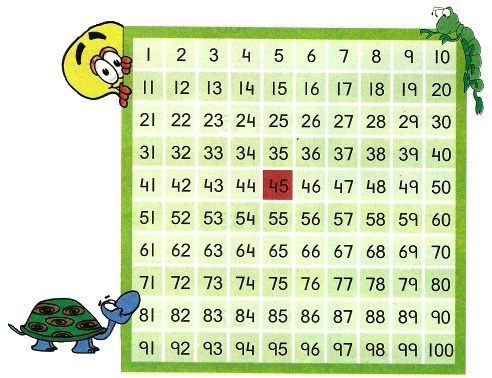 Number table is very useful for kids to understand the sides, above and below. Kids can practice this worksheet on number games to get idea about the right side, left side, above and below in the real life by playing with the numbers. Take the print-out of the number table and then practice this sheet with fun.